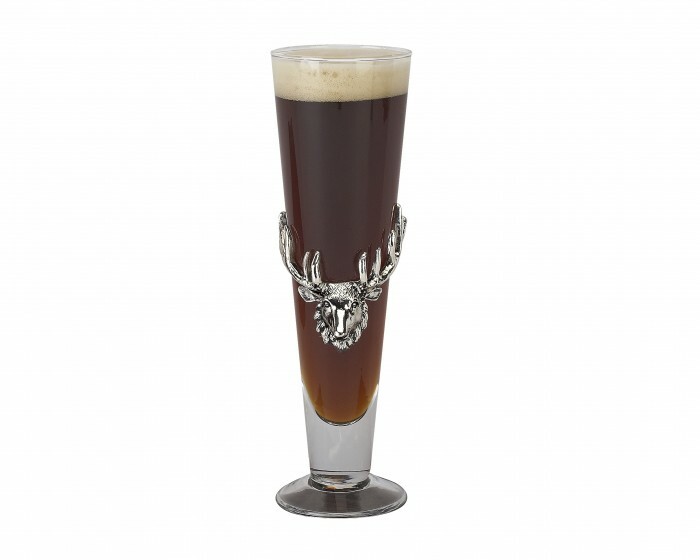 Show off your wild side with a sand-cast animal head in Arthur Court's Antler Pilsner! The handsome plate shimmers as the antlers wrap around the glass like hands grasping for a drink. The glass grows wider from its base as it opens into the foaming brilliance of a pilsner.